Will my Walnut floor change colour over time? All hardwood floors will change colour over time as wood is a natural product and will be affected by the elements, especially sunlight. 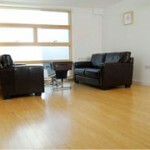 Walnut flooring is a dark brown colour so over periods of time it will lighten slightly. 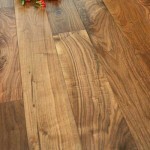 You may notice the most distinctive change in the first few months after your Walnut floor has been installed. This entry was posted in Wood Flooring and tagged hardwood changing colour, hardwood walnut floor, Walnut flooring on September 29, 2015 by Chris Elliott. Skirting and beading are accessories to add the finishing touches to your hardwood floor. They can be found in a variety of species to match and complement your flooring choice. Skirting and beading are important accessories for any wooden floor and they are essential to make your room look complete. This entry was posted in Fitting Guide, Wood Flooring and tagged hardwood skirting, hardwood beading, wooden flooring mouldings, Beading, hardwood flooring accessories, Skirting on September 21, 2015 by Chris Elliott. Will my Oak floor change colour over time? Yes, all hardwood floors will slightly change colour over periods of time, especially if they are in contact with direct sunlight. The most noticeable colour change will happen in the first few months after being installed. 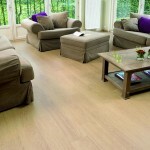 The difference you may notice with an Oak floor will be subtle but the colour will become richer and more golden. Helpful advice to minimise the colour change is to keep curtains and blinds closed during periods when the sun is at its strongest. This entry was posted in Wood Flooring and tagged Oak wood flooring, wood flooring colour change, solid wood flooring on September 8, 2015 by Chris Elliott. Will my hardwood floor have colour variations? 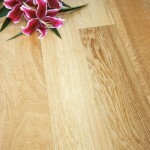 As hardwood is a natural product it will have natural colour variations and knots. This is inevitable when buying a natural product, and most people embrace these slight variations as it adds character and charm to the flooring. This entry was posted in Engineered wood flooring, Solid wood flooring, Wood Flooring and tagged colour of hardwood flooring, hardwood floor changing colour, hardwood floors on September 2, 2015 by Chris Elliott. This entry was posted in Wood Flooring and tagged Cleaning Tips for Hardwood Floors, hardwood floor cleaning, wood floor cleaning on August 24, 2015 by Chris Elliott. 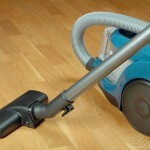 Can I use a vacuum cleaner to clean my hardwood floor? Yes, you can use a vacuum cleaner to clean your hardwood floor, as long as it has a specific wooden floor cleaning attachment. 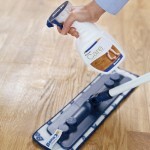 The ordinary attachments and bristles could scratch, mark or dent your hardwood floor. This entry was posted in Wood Flooring and tagged Cleaning Tips for Hardwood Floors, hardwood floor cleaning, wood floor cleaning on August 17, 2015 by Chris Elliott. Can I use furniture polish to clean my hardwood floor? No, furniture polish should not be used to clean hardwood floor as it can make your floor very slippy and leave a residue on the surface. This will create a slip hazard and can be difficult to remove. This entry was posted in Wood Flooring and tagged Cleaning Tips for Hardwood Floors, hardwood floor cleaning, wood floor cleaning on August 11, 2015 by Chris Elliott. Top 10 benefits of hardwood flooring? This entry was posted in Wood Flooring and tagged hardwood flooring benefits, benefits of hardwood flooring, hardwood flooring on August 3, 2015 by Chris Elliott. 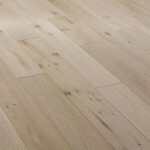 Can I install a wooden floor in my kitchen? 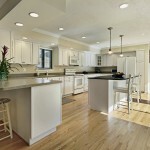 Yes, you can install hardwood flooring in your kitchen but you must use engineered hardwood. This is because engineered hardwood flooring is constructed in such a way that it is able to withstand changes in temperature, humidity and moisture that are inevitable in a kitchen environment. This entry was posted in Engineered wood flooring, Wood Flooring and tagged hardwood in kitchen, Wood flooring in kitchen, engineered wood flooring on July 27, 2015 by Chris Elliott.